The Provincial Nominee Programs (PNPs) allow Canadian provinces and territories to nominate individuals for immigration to Canada. Each PNP is designed in order to respond to the province's/territory's specific needs, with provinces attracting individuals and families who will be able to settle into life and work in the region and to effectively contribute to the community. Most PNPs contain at least one stream aligned with the federal Express Entry immigration selection system. These are known as 'enhanced' nominations; to learn more about how the PNPs function with respect to the Express Entry system, click here. The Government of Canada recently changed how immigration processing times are published. Use our Canada Immigration Processing Times Tool to get the latest information. The way in which Canadian immigration processing times are published by the government of Canada changed as of January, 2016. Processing times are not currently published per visa office; rather, they are published depending on when the application was submitted. These processing times only apply to the federal part of the processing once the complete application for permanent residence has been received. It does not include the time it takes for the province or territory to process the nomination certificate. 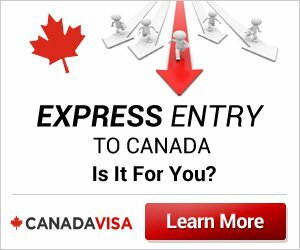 Was the application made online via the Express Entry system? The following is a list of visa offices where Provincial Nominee Program applications may be processed.